Check out these men’s nutritional supplements for optimal health, including vitamins and omega-3. Boost your workout with the Scientific Nutrition line – exercise supplements designed to help you build muscle, increase fat loss and encourage weight control. Thermogenic Formula. Boost Energy and Calorie Burning.  24 Fit System. 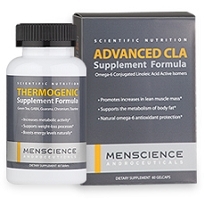 Boosts Calories Burning and Supports Lean Muscle.